Contact Us Free Shipping 100% Satisfaction Guaranteed Product Images Silky Smooth Texture with Exceptional Value Attractive, contemporary edge to edge design Also available for trunk, cargo and rear deck area Trimmed with color coordinated nylon-bounded edging. Comes with the multi-layer TractionBac Mats can be Personalized for an additional cost Contact us for pricing Available Colors Request Color Samples 960 Black 962 Ebony 964 Smoke 966 Grey 970 Light Oak 974 Dark Taupe 968 Light Shale 972 Tan 976 Dark Brown 982 Dark Blue 980 Burgundy 978 Torch Red NOTE: Because Lloyd Velourtex mats are "made-to-order", they normally take 2-3 business days to ship from the plant. Please allow an additional 1-5 days for UPS or FedEx to deliver your mats. Contact Us Free Shipping 100% Satisfaction Guaranteed Product Images Each mat has hundreds of wells to hold water, snow, mud, sand and spills. Attractive, contemporary edge to edge design Also available for trunk, cargo and rear deck area. Mats stay flexible even in sub-freezing temperatures. 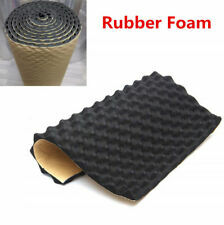 1/4 inch thick heavy-weight composition rubber with a non-slip texture for additional safety. Available Colors Request Color Samples 800 Clear 850 White 801 Black 802 Grey 805 Light Grey 856 Brown 803 Tan 804 Ivory 851 Yellow 854 Blue 855 Burgundy 853 Red 852 Pink NOTE: Because Lloyd Rubbertite mats are "made-to-order", they normally take 2-3 business days to ship from the plant. Please allow an additional 1-5 days for UPS or FedEx to deliver . Contact Us Free Shipping 100% Satisfaction Guaranteed Product Images Sleek Appearance of Cutpile Style Carpet Attractive, contemporary edge to edge design Also available for trunk, cargo and rear deck area Comes with the multi-layerTractionBac Available Colors Request Color Samples 100 Black 111 Smoke 140 Gray 170 Greystone 710 Brown 600 Tan 670 Neutral 620 Sand 520 Medium Saddle 630 Antelope 420 Burgundy 409 Flame Red 310 Dark Blue 320 Blue 250 Forest Green All Available Ultimat Colors NOTE: Because Ultimat mats are "made-to-order", they normally take 2-3 business days to ship from the plant. Please allow an additional 1-5 days for UPS or FedEx to deliver your mats. 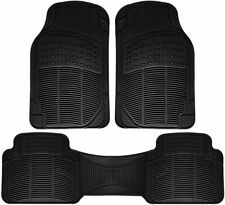 Lloyd ULTIMAT Carpet - 2pc Front Floor Mats -Choice of Color. Contact Us Free Shipping 100% Satisfaction Guaranteed Product Images Rugged Appearance of Loop Style Carpet Attractive, contemporary edge to edge design Also available for trunk, cargo and rear deck area Trimmed with color coordinated nylon-bounded edging. Comes with the multi-layerTractionBac Available in 8 factory matched colors Available Colors Request Color Samples 810 Black 811 Ebony 814 Smoke 816 Grey 826 Brown 822 Tan 818 Shale 824 Red NOTE: Because Classic Loop mats are "made-to-order", they normally take 2-3 business days to ship from the plant. Please allow an additional 1-5 days for UPS or FedEx to deliver your mats. Lloyd CLASSIC LOOP 4pc Carpet Car Floor Mat Set - Choose from 8 Colors Product Details Coverage: 4 . Contact Us Free Shipping 100% Satisfaction Guaranteed Product Images The half-inch thick carpet pile provides a luxurious comfort Attractive, contemporary edge to edge design Also available for trunk, cargo and rear deck area Comes with the multi-layerTractionBac Mats can be Monogrammed for an additional cost - Contact us for pricing Available Colors Request Color Samples 775 Black 778 Ebony 776 Medium Grey 777 Grey 786 Brown 782 Saddle 785 Dark Tan 784 Parchment 783 Light Tan 781 Burgundy 779 Dark Blue NOTE: Because Lloyd LUXE mats are "made-to-order", they normally take 2-3 business days to ship from the plant. Please allow an additional 1-5 days for UPS or FedEx to deliver your mats. 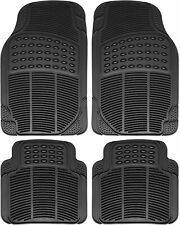 Lloyd LUXE Carpet Floor Mats - 4pc Mat Set - . They provide outstanding value, with a silky smooth texture, created from premium nylon yarn. Velourtex mats are equipped with anchoring devices to keep them safely in place. The applique process is done on high speed machines that allow for the precise duplication of complex and detailed designs. Contact Us Free Shipping 100% Satisfaction Guaranteed Product Images The half-inch thick carpet pile provides a luxurious comfort Attractive, contemporary edge to edge design Also available for trunk, cargo and rear deck area Comes with the multi-layerTractionBac Mats can be Monogrammed for an additional cost - Contact us for pricing Available Colors Request Color Samples 775 Black 778 Ebony 776 Medium Grey 777 Grey 786 Brown 782 Saddle 785 Dark Tan 784 Parchment 783 Light Tan 781 Burgundy 779 Dark Blue NOTE: Because Lloyd LUXE mats are "made-to-order", they normally take 2-3 business days to ship from the plant. Please allow an additional 1-5 days for UPS or FedEx to deliver your mats. 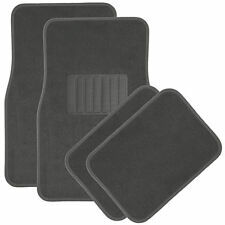 Lloyd LUXE Carpet Floor Mats- 4pc Set - Choose from 11. Contact Us Free Shipping 100% Satisfaction Guaranteed Product Images Rugged Appearance of Loop Style Carpet Choose between solid or heathered colors Highly durable loop construction for long wear Also available for trunk, cargo and rear deck area Mats can be Personalized for an additional cost Contact us for pricing Logos are available for an additional cost, select vehicles ONLY! Contact us for availability and pricing Comes with the multi-layer TractionBac Available Colors Request Color Samples 905 Black 906 Ebony 907 Grey 908 Tan 909 Beige 912 Black Heathered 913 Grey Heathered 914 Tan Heathered 915 Beige Heathered NOTE: Because Berber 2 mats are "made-to-order", they normally take 2-3 business days to ship from the plant. Please allow . Contact Us Free Shipping 100% Satisfaction Guaranteed Product Images Sleek Appearance of Cutpile Style Carpet Attractive, contemporary edge to edge design Also available for trunk, cargo and rear deck area Comes with the multi-layerTractionBac Available Colors Request Color Samples 100 Black 111 Smoke 140 Gray 170 Greystone 710 Brown 600 Tan 670 Neutral 620 Sand 520 Medium Saddle 630 Antelope 420 Burgundy 409 Flame Red 310 Dark Blue 320 Blue 250 Forest Green All Available Ultimat Colors NOTE: Because Ultimat mats are "made-to-order", they normally take 2-3 business days to ship from the plant. Please allow an additional 1-5 days for UPS or FedEx to deliver your mats. Lloyd ULTIMAT 4pc Carpet Floor Mat Set - 2 Rows - Choice . Contact Us Free Shipping 100% Satisfaction Guaranteed Product Images Hundreds of compartments and channels contain spills, snow, mud, sand and debris The most attractive all weather mat design Many door-to-door one-piece full width patterns Synthetic rubber stays flexible in freezing temperatures and properly firm in warm conditions Floor mat anchors for every driver side mat for additional safety Available Colors Request Color Samples 860 Clear 861 Black 862 Grey 865 Light Grey 868 Brown 863 Tan 867 Blue 866 Red NOTE: Because Lloyd NorthRidge mats are "made-to-order", they normally take 2-3 business days to ship from the plant. Please allow an additional 1-5 days for UPS or FedEx to deliver your mats. Lloyd NorthRidge All-Weather Floor . 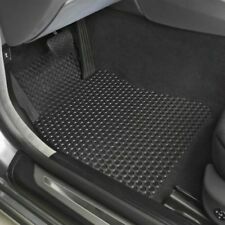 Contact Us Free Shipping 100% Satisfaction Guaranteed Product Images Rugged Appearance of Loop Style Carpet Attractive, contemporary edge to edge design Also available for trunk, cargo and rear deck area Comes with the multi-layerTractionBac Trimmed with color coordinated nylon-bounded edging. Comes with the multi-layerTractionBac Available in 8 factory matched colors Available Colors Request Color Samples 810 Black 811 Ebony 814 Smoke 816 Grey 826 Brown 822 Tan 818 Shale 824 Red NOTE: Because Classic Loop mats are "made-to-order", they normally take 2-3 business days to ship from the plant. Please allow an additional 1-5 days for UPS or FedEx to deliver your mats. 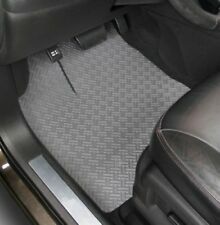 Lloyd CLASSIC LOOP 4pc Carpet SUV Floor Mat Set - 2 Rows - Choose from 8 . 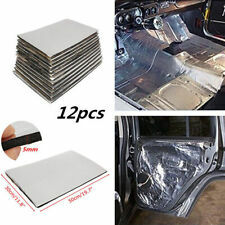 Sound Deadener For Automotive/Truck/Van/Car/Vehicle/Motorcycles/Auto/RV/SUV/Camper Heat Shield Mat Sound Deadening Material Self-adhesive Features: 1) This product is 100% brand new. 2) Great For Firewalls, Floors, Doors, Boots, Side Panels. Roofs and more.... 3) Keeps Heat In-Cold Out in the Winter, Keeps Cold in-Heat Out in the Summer! 4)Easily installs,fit all kinds of vehicle type Material: Alumina fiber Muffler cotton Application: Firewall/rear decks - To reduce engine, road, and transmission noise while dissipating heat Installation: 1.Clean the dust and oil which cover the automobile engine . 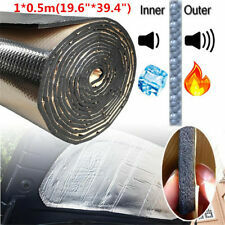 Insulation Shield Car Exhaust Turbo Reducer Self-Adhisive Mat Features: 1) This product is 100% brand new. 2) Floors, Doors, Boots, Side Panels. Roofs and more...... 3)Easily installs,fit all kinds of vehicle type Material: Muffler cotton Application: rear decks - To reduce engine, road, and transmission noise while dissipating Installation: 1.